Become a better bearded dragon parent by learning about 12 of the most common mistakes made and how to avoid them. Let’s face it – we have all made common mistakes when it comes to owning a bearded dragon. Hey, we are human, right? Some mistakes can be easily corrected by adjusting the temperatures, or acquiring the proper lighting. Some mistakes, over time, can unfortunately cause illness or death to the bearded dragon. That’s something we certainly want to avoid! After years of bearded dragon husbandry, I have learned a ton about what to do and what not to do. I want to share those lessons learned over the years with others interested in owning a bearded dragon. That’s the reason behind starting Bearded Dragon Care 101. I have made mistakes and hope that by sharing those mistakes it will help you to avoid doing the same. The purpose of this article is not to criticize. It is simply a list of very common mistakes bearded dragon owners make, and how to correct those mistakes before there are adverse effects. Mistakes do happen and that’s okay. It’s part of the learning process. The important thing is we take those learning moments and apply them. Here are 12 mistakes commonly made when raising a bearded dragon. Research bearded dragons as much as possible before bringing the new pet home. Before acquiring a bearded dragon read as much as you can about these wonderful reptiles. There are many books on the subject that are available online, at local book stores, and at the library. Read as many books as you can on keeping bearded dragons. There are also magazines and many resources online that provide sound information on bearded dragon husbandry. It is very important to become as familiar with bearded dragons as possible. Learn about their requirements for lighting, heating, diet, and housing, just to name a few. Trust me, the more you know about a bearded dragon the more successful you will be right out of the gate. You will be more prepared for any situation that arises, and better equipped to handle those situations. Looking For More Information On Bearded Dragons? Know the answers to these questions beforehand so there are not as many surprises when you do take your bearded dragon in for a vet visit. Develop a strong relationship with a good vet before getting your bearded dragon. Please do not wait until there is a problem to find a veterinarian. By then, it can be too late. If you cannot afford to take a bearded dragon to a veterinarian for regular exams, or when something unusual arises, do not get a bearded dragon. Vet visits can be expensive. Medical treatments can range from a couple hundred dollars upwards of a couple thousand for certain situations or emergencies. Start an emergency fund to help with medical costs. Begin by putting ten to twenty dollars a week (or whatever you can afford) in a savings account. Bearded dragons are cold-blooded, desert-dwelling reptiles. They require very warm temperatures to survive and thrive. Providing adequate heat is crucial. Temperatures kept too cool could result in loss of appetite, lethargy, or a weakened immune system. 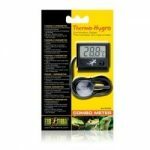 Always use a quality thermometer (Amazon.com) to measure temperatures in the basking and cooler regions. Never assume the temperatures are correct, or “close enough”. It is important to monitor night time temperatures as well. For more on the proper temperatures for bearded dragons, please read The Proper Temperatures for a Bearded Dragon. Adequate UV radiation lighting is also very important for good health with bearded dragons. Bearded dragons naturally receive UV rays from the sun. They perch on branches or rocks to soak in the sun to receive warmth and UV radiation. UV radiation helps in the synthesis of calcium and vitamin D3 as well as promote appetite and a strong immune system. When bearded dragons are kept in captivity, radiation must be replicated using specialized light bulbs. Without proper lighting the bearded dragon could develop Metabolic Bone Disease (a debilitating bone disorder) or other illnesses. Long term effects could even lead to premature death. 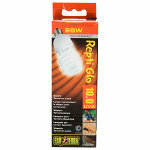 It is extremely important to use these bulbs to supply needed UV radiation. Always follow the bulb manufacturer’s instructions on placement, usage, and replacement. 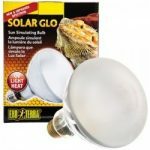 For more information on the lighting requirements of bearded dragons, please read The Lighting Requirements of Bearded Dragons. A well-balanced, nutritious diet is vital for good overall health of bearded dragons. Dusting food items should be a part of the diet plan. 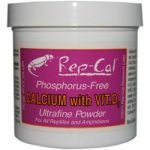 Dusting food items is basically coating the food (insects and vegetation) with a quality calcium/vitamin D3 supplement (Amazon.com) specially formulated for reptiles. 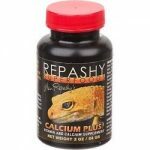 Reptiles need calcium in order to maintain a good skeletal system, and vitamin D3 is need to synthesis calcium. Providing a good calcium/vitamin D3 supplement coupled with proper UV lighting will help to ensure the bearded dragon develops a strong skeletal system and immune system. To read more about dusting food items, please see How To Prepare Feeder Insects for Feeding. There is an old saying that goes something like, “You are what you eat”. This saying is very true for bearded dragons, too. The quality of the food offered to a bearded dragon is important. 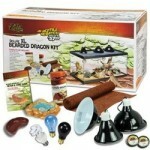 High quality feeder insects (Amazon.com) and vegetation is key to the good health of the bearded dragon. Gut-loading the feeder insects ensures they are as nutritious as possible. 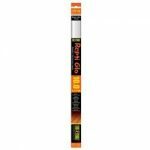 Gut-loading is the process of providing feeder insects a diet packed with essential vitamins and minerals. 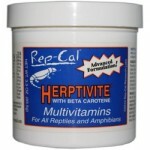 There are many commercial gut loads (Amazon.com) available that help to increase the nutritional value of the insect. 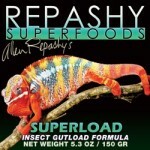 If the feeder insects offered are of high quality and nutrient-rich, then the bearded dragon will be much more healthier. 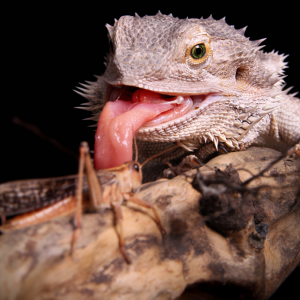 Many bearded dragon owners do not gut-load insects – and some do not even know about it. Gut-loading is a very easy way to give the bearded dragon a more complete diet. 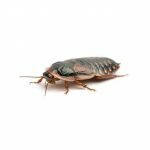 For more information about gut-loading feeder insects, please read Gut Loading Feeder Insects for Bearded Dragon. 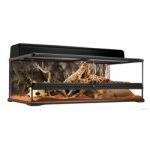 A very common mistake many bearded dragon owners make is housing their bearded dragon in a terrarium (Amazon.com) that is too small. A good rule of thumb to follow is the “x3 Rule”. The “x3 Rule” states: the terrarium length should be at least three times the length of the bearded dragon (including the tail). Following this rule, if an adult bearded dragon is 20 inches long (including the tail) then the terrarium should be at least 60 inches long. A length shorter than 60 inches can be used if the terrarium is wide. In other words, it is ideal to provide the bearded dragon as much floor space as possible. Can a terrarium be too large? In some cases, yes. Housing a baby bearded dragon in a very large terrarium can cause it to feel overwhelmed and insecure. Use a divider within the terrarium to close off some space to help relieve this issue if it arises. 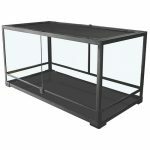 Please read How To Choose The Proper Enclosure for a Bearded Dragon for more information on housing a bearded dragon. A loose particle substrate is any substrate which contains very small pieces. 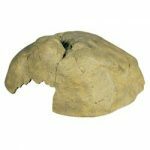 Examples include sand, ground walnut shells, Calci-Sand or anything similar. This type of substrate is very dangerous for baby and juvenile bearded dragons. When the bearded dragon lunges for insects the particles are accidentally swallowed. The particles are ingested over time and collect within the digestive tract. This leads to a digestive blockage (impaction) and eventually death. Most premature deaths in pet bearded dragons are from an impaction issue caused by loose particle substrates. Ground walnut shells are never recommended with bearded dragons. Loose particle substrates can be used with adult bearded dragons. 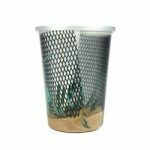 Feed the bearded dragon in a separate terrarium that doesn’t contain the loose particle substrate. 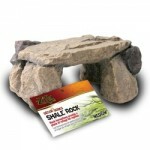 Use a quality terrarium substrate liner (Amazon.com) for baby or juvenile bearded dragons. Discover more detailed information on proper substrates by reading The Best Substrate for Bearded Dragons. It is very common for many bearded dragons to not readily consume fruits and vegetables in captivity. Many parents get frustrated and stop, or limit, the amount of fruits and vegetables offered. 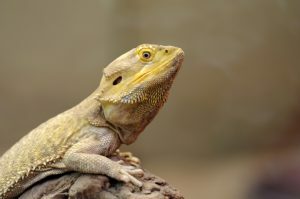 Most bearded dragons are going to prefer insects (Amazon.com) over fruits and vegetables, so it is essential to train them to eat their greens. Offering fruits and vegetables should start the moment the bearded dragon is brought home. The sooner this activity is started the more likely it is to be successful. 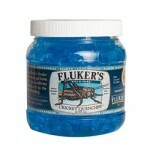 A small bowl (Amazon.com) of fruit and vegetable mixture should be offered at least once per day. Offer the fruit/vegetable mixture before any insects. Once the bearded dragon eats some of the fruit/vegetable mixture, offer a favorite insect as a reward. Continue this to build a habit with the bearded dragon of eating the fruits and vegetables each day. Remember, a baby bearded dragon requires more insects than fruits/vegetables in the diet, but as it ages the fruits/vegetables mixture should be increased. 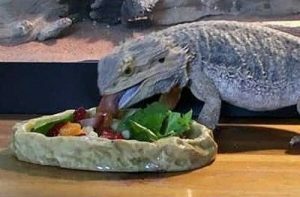 For more information on training a bearded dragon to eat more fruits and vegetables, please read How To Train a Bearded Dragon To Eat Fruits and Vegetables. Whether the parent interacts with the bearded dragon is entirely a personal preference. The bearded dragon can be left in the terrarium and never interacted with except for baths and terrarium cleanings. That is not very fun, though. What’s the point of having a lively, energetic bearded dragon and never interact with it? It is perfectly okay to take the bearded dragon out of the terrarium and allow it to explore around the home (under complete supervision). It is okay to lay the bearded dragon in your lap while watching TV. If you are interested in a well-behaved and adjusted bearded dragon, it is important to interact with it a little each day. Once you have brought the bearded dragon home and it has settled in, begin slowly stroking its head and sides. Gradually increase the amount of interaction and eventually the bearded dragon will look forward to some petting and exploration time. Some interaction should be done a little each day. Failing to interact with the bearded dragon for weeks and months at a time could cause it to be less adjusted, and may freak out when attempts are made to handle it. To find more information on handling a bearded dragon, please read How To Properly Handle a Bearded Dragon. 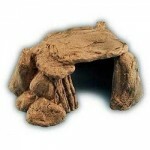 A proper hide box (Amazon.com) is vital in making the bearded dragon feel safe and secure. In the wild, bearded dragons do face some predators. When predators threaten the bearded dragon will find a nice hiding spot. In captivity, bearded dragons still need that hiding spot when they feel threatened. A hide box should be large enough so the entire bearded dragon can fit inside. The hide box should be kept away from the basking area and be dark inside. There are many commercial hide boxes available in the market, but any suitable box would work. Failing to supply a proper hide box can lead to stress and a weakened immune system. To learn more about hide boxes please read Selecting a Proper Hide Box for a Bearded Dragon. One of the most entertaining parts of owning a bearded dragon is watching it gobble up insects. This can make it very easy to unintentionally over feed the bearded dragon. Bearded dragons can become obese, so it is important to monitor their diet. Although most bearded dragons love wax worms, try not to feed too many. Wax worms are high in fat content which can lead to obesity in adult bearded dragons fed a diet high in wax worms. 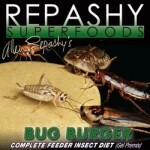 Make sure to stick to a diet regiment and avoid feeding “snack insects” too often. 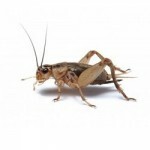 For more information on feeder insects, please read The Best Insects To Feed a Bearded Dragon. Bearded Dragon Care 101 is a participant in the Amazon Services LLC Associates Program, an affiliate advertising program designed to provide a means for sites to earn advertising fees by advertising and linking to Amazon.com. Links on this webpage may refer you to products or services on Amazon.com. If you use those links and make a purchase on Amazon.com we may be compensated. 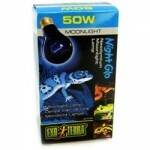 This compensation helps to keep Bearded Dragon Care 101 operational. Please refer to our Disclosure Policy for more information.